Insurance…a wise and necessary investment. 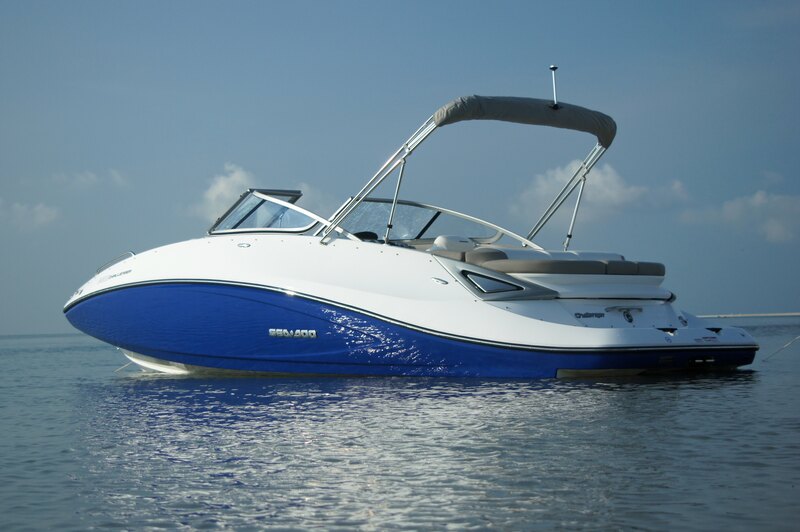 As I continue on my path to boat ownership, I want to ensure that my Sea-Doo boat will be covered in the case of an accident so I started my research and learned some very interesting facts! Boat insurance is very similar to home or car insurance. A boat policy will cover the boat for liability if someone is injured, coverage for damage that my boat inflicts on others (docks, boats, etc.) or coverage for physical damage for my boat if I were to hit something or run aground. If I want more comprehensive coverage I would need to purchase an additional policy (theft, fire, flood, etc.). One of the first things I learned is that there are two different types of policies: Agreed Value and Market Value. -Agreed Value: the insurer and insuree agree on the value of the boat upfront, sort of like the sticker price on a car. If something happens to the boat, then you would be reimbursed for the agreed value. -Market Value: market value is for the actual market value of the boat. If I purchase market value, the insurance company will depreciate the boat as time passes. I chose to quote Agreed Value, since the boat will be brand new and I will be financing the boat. I also opted to include my trailer and marine electronics in my policy. This raised the rate a bit, but gives me much greater peace of mind knowing that my investment will be fully protected. We went over the discounts available and I receive a few such as boaters license discount, original owner and I intend to pay in full. I checked with my home insurance company and they offer a recreational vehicle option, but found a more competitive rate with another insurer. Most companies will offer discounts when bundling insurance, but my insurance company’s discount did not mirror the rates I received with another company. Many companies offer marine insurance. My recommendation is to check with your home owner’s or auto insurance provider first as well as doing some competitive analysis. Some of the most well-know carriers include: Progressive, Boat US, Allstate, Geico and State Farm. Any insurance words of wisdom? Any pitfalls or good things that you have experienced? All advise welcome!